Reach more donors with a year-round presence inside companies actively investing their dollars and time in nonprofit programs. 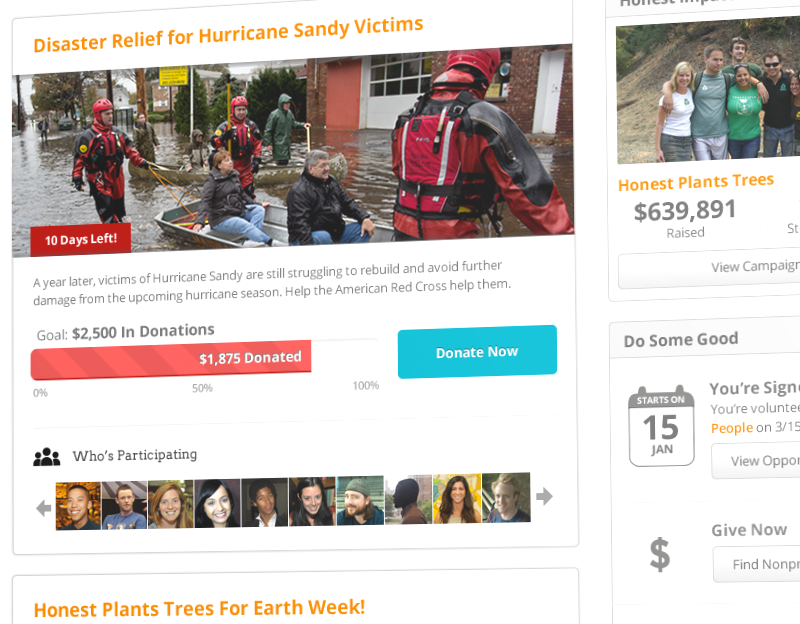 Meet your fundraising and volunteer recruiting goals faster with ready-to-use, easily customizable pages. 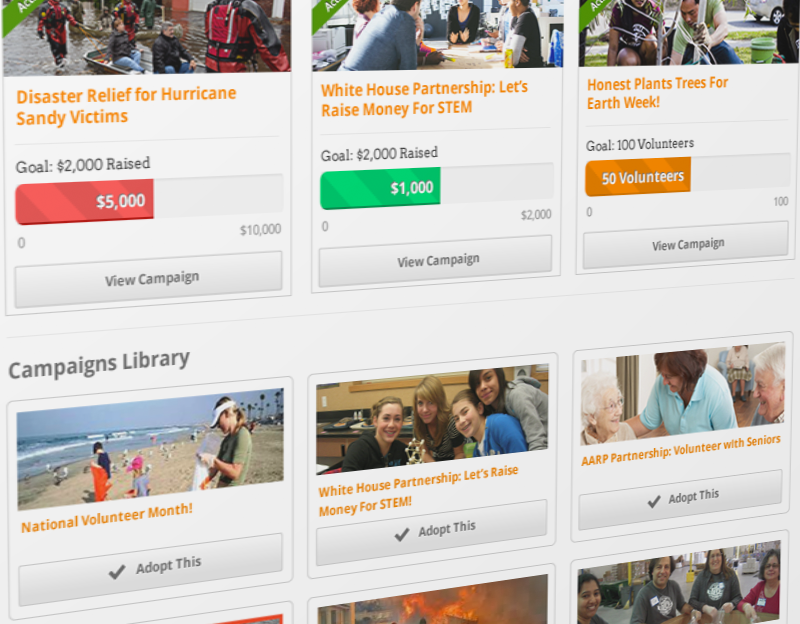 Get access to the information you need, when you need it, so you can manage your fundraising and volunteering initiatives with less time, less effort, for FREE. 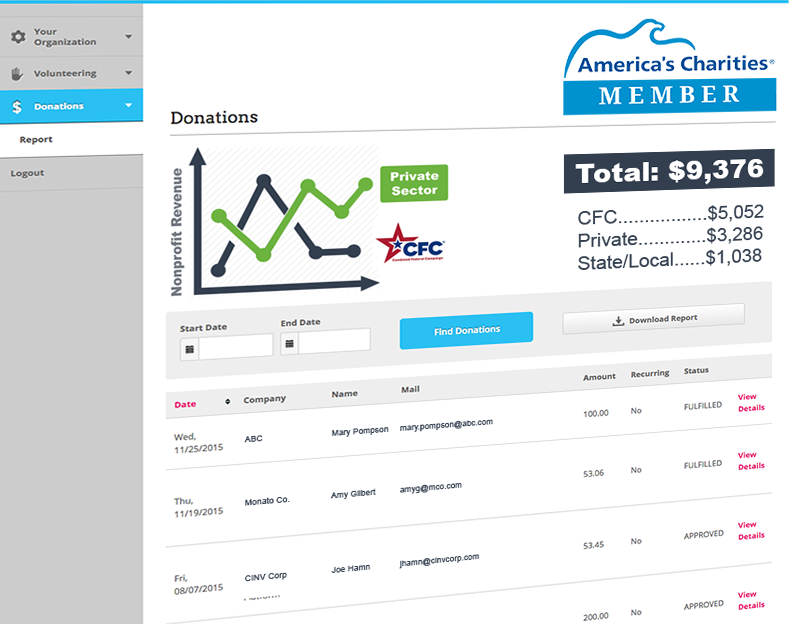 Become an America’s Charities member to boost your fundraising, increase your visibility, and advance your social impact. 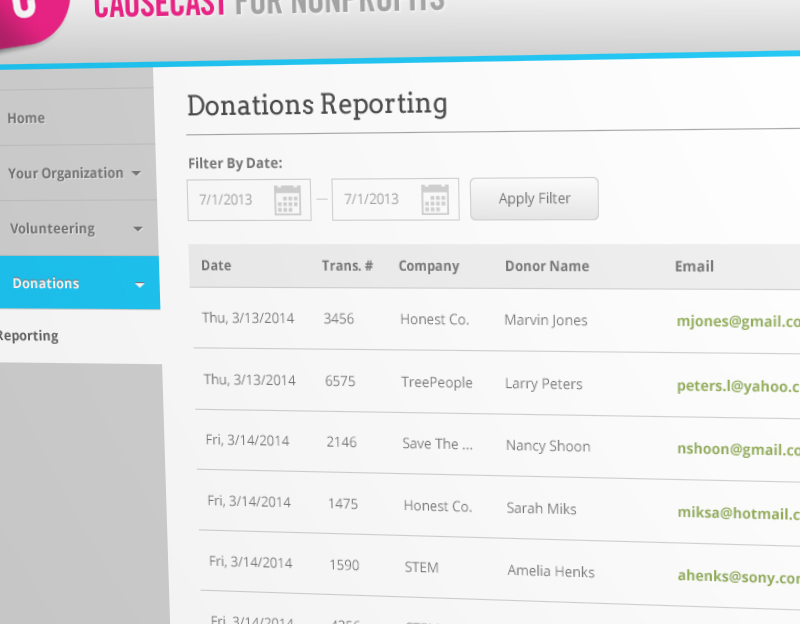 For nonprofit inquiries, please contact organizations@causecast.org. © 2017 Causecast. All Rights Reserved.